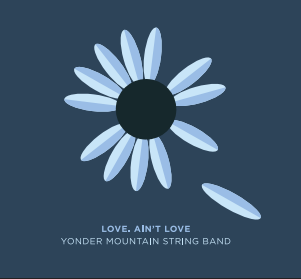 It’s been two years since Yonder Mountain String Band released their last album, but the Colorado-based progressive bluegrass outfit is back with their most creative and energetic album to date. The new album, Love. Ain’t Love, will be released June 23rd and was produced by the band and longtime collaborator John McVey. Love. Ain’t Love is a testament to the band’s organic, dynamic, and intensely personal brand of contemporary bluegrass-fueled Americana. Find the artwork and track listing for the album below!